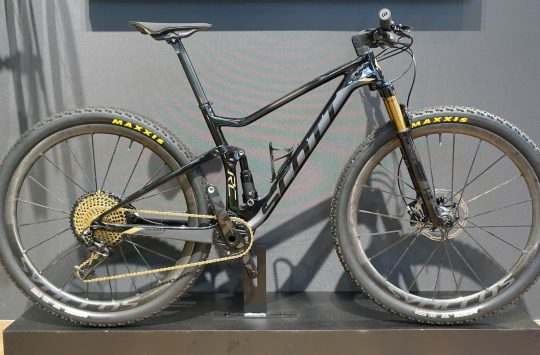 At Interbike, the clever folks from SKS were showing a pair of (predictably clever) tubeless tyre seating solutions for home and travel. 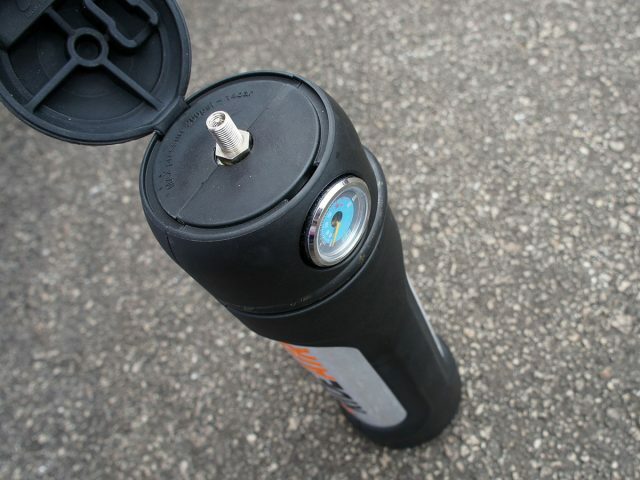 The first, above, is the “TL Head,” which is a replacement pump chuck that allows the use of a CO2 cartridge during tubeless tyre installation. Simply thread the cartridge into the pump head, attach to valve normally, and then unthread the cartridge slightly, releasing its contents into the tyre. 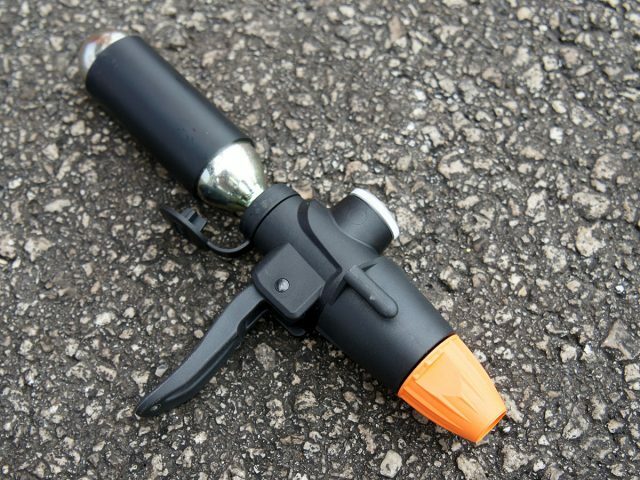 The idea being that the burst of compressed air will be enough to seat the tyre, which can then be brought to pressure using the pump. The $33 retail price includes two CO2 cartridges. 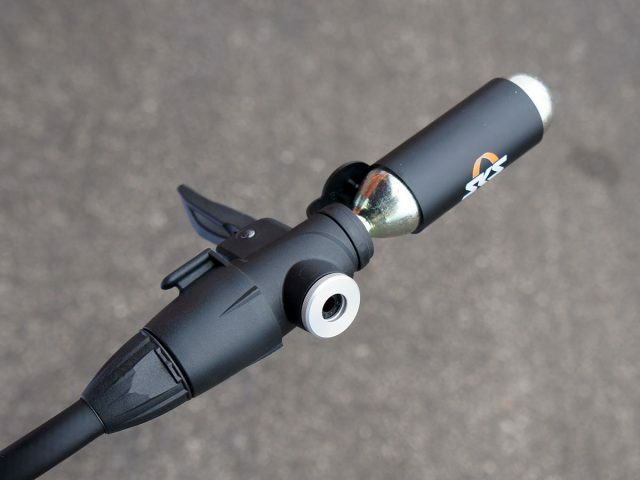 Second in the range is the RideAir cartridge. 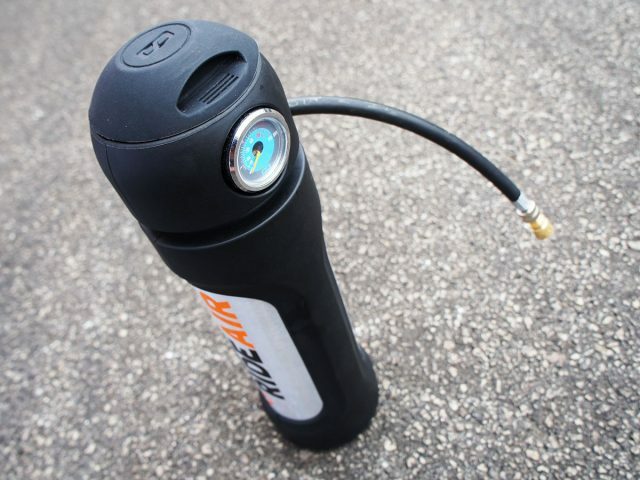 Not unlike the Airshot system, the RideAir is a pressure-rated cylinder with a hose and valve. Using a suitable floor pump, the rider pressurises the RideAir to 200psi before affixing to the to-be-seated tyre and letting ‘er rip. 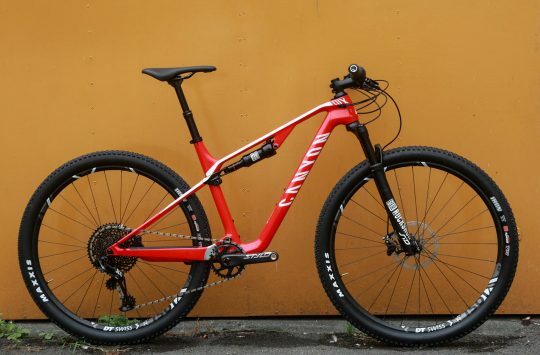 Selling in the US for $80, the RideAir can even be carried in a bottle cage (though maybe not at pressure). 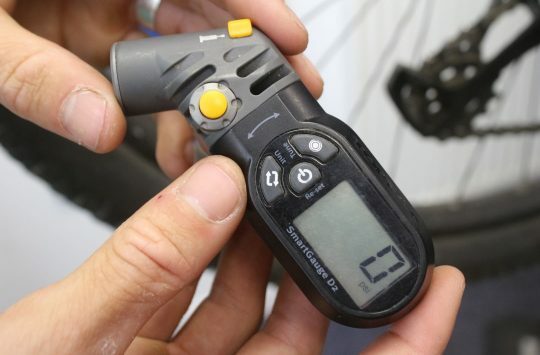 Review: The Topeak Smart Gauge D2 has been around for yonks, but is it still the best?